The forms and organizations of the urban single-family house (along with a variety of other building types) have been driven toward extreme versions of efficiency by an ever-increasing metropolitan density. 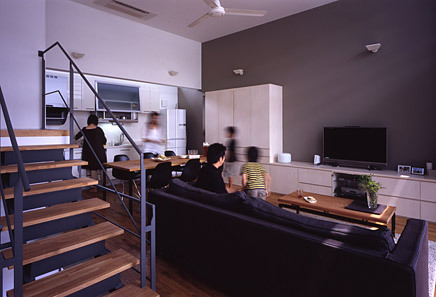 In a city like Tokyo, increasing land values, proximity to public transportation and the recognized value of maintaining a maximum amount of undeveloped open space outside of the city limits have produced models of ‘existence minimum’ that eclipse any western precedents; we marvel at the phenomenon of the ‘Tokyo dwelling’, where the most is made with the least. Objects are both miniaturized and multi-functional, and even the most modest condition of outdoor space is captured as a commodity of light, air and view. At its best the result is creative solutions driven by extreme constraint, at its worst the production of almost inhumane living conditions. 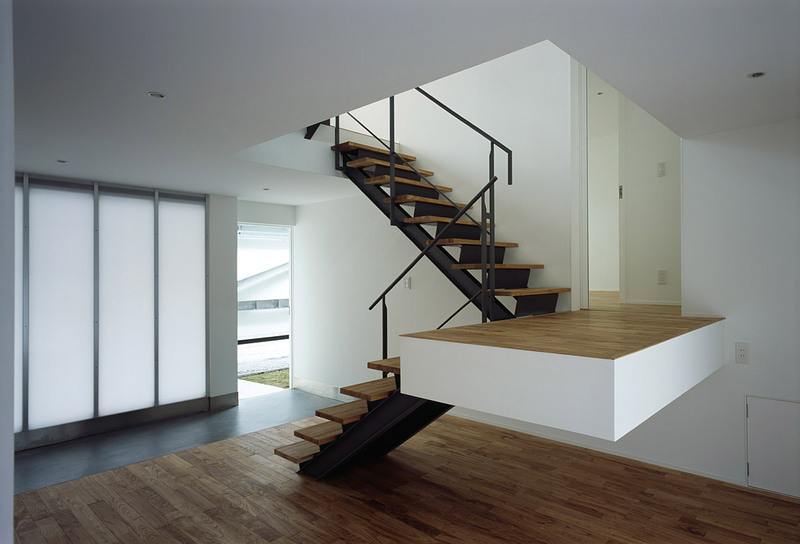 The clients for the Y-house in Saitama had three primary concerns for the design of their new home. First, they wished to have privacy without sacrificing a strong connection to the outdoors. 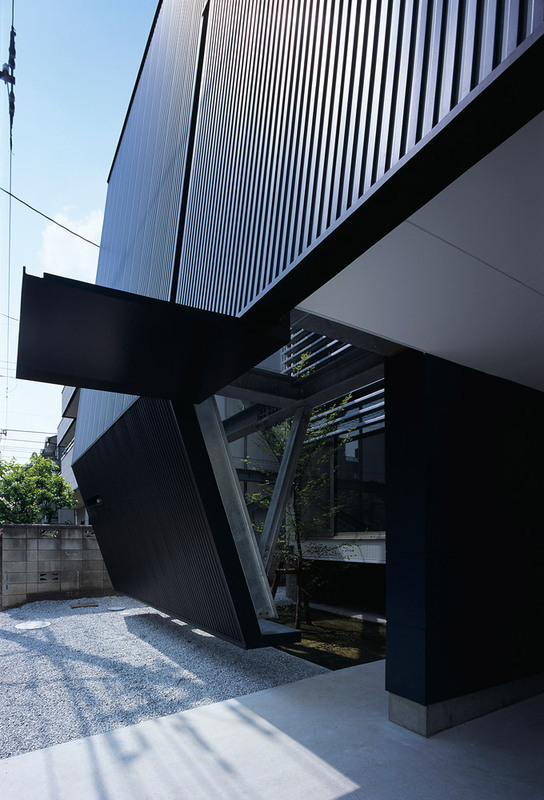 Second, they wanted to maintain solar access in all of the rooms of the house, and third, to use outdoor space to enhance the feeling of openness and volume within an otherwise modest dwelling. 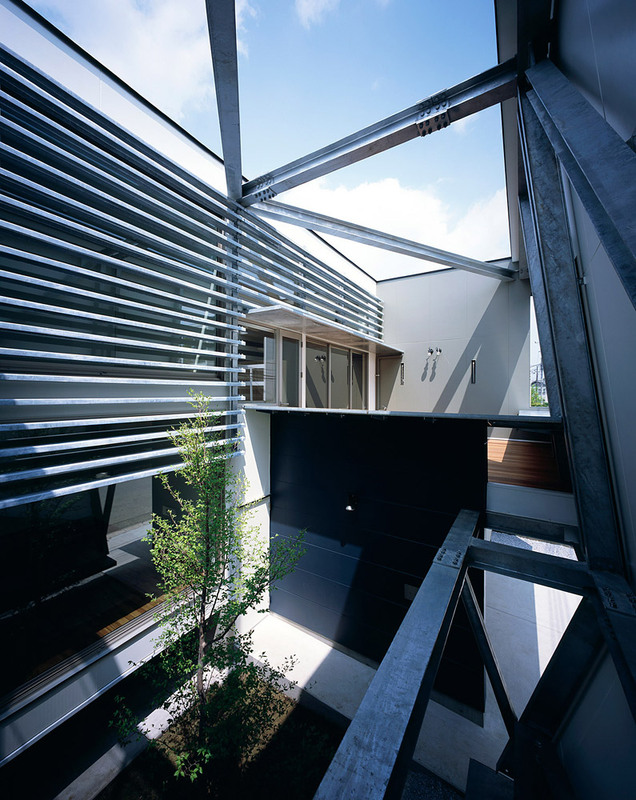 The site for the house is located in a northern suburb of metropolitan Tokyo that is undergoing almost continuous development. It is bound on three sides by neighboring two story houses punctuated by random windows and balconies that eliminate any chance for privacy, and by a street located along the southern edge. 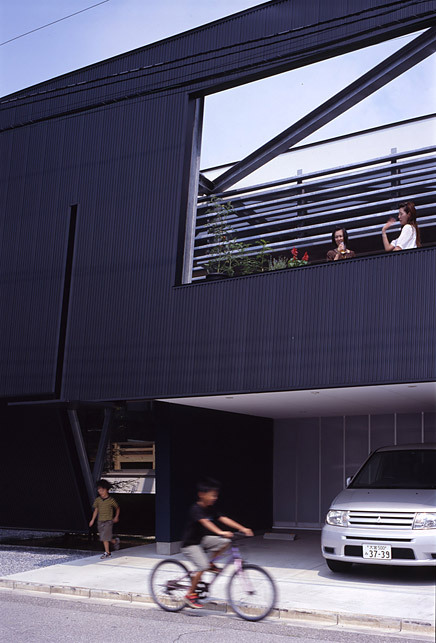 The house is deployed on three levels: carport, utility and garden on the ground, primary living spaces on the second level, and children’s bedrooms on the third. The three levels are densely organized in the rear half of the site as a tall bar building, liberating the front half of the site as a privacy to provide unfettered solar access, a useful outdoor terrace that effectively doubles the living space, and a garden. 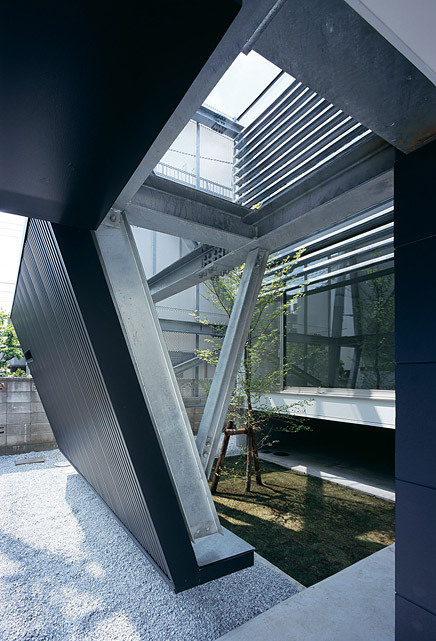 The outdoor space is made private by a large, two-story enclosure around its perimeter that is open to the sky. All rooms of the house are oriented to look into the private terrace and garden, avoiding an awkward proximity with their neighbors. A single, large rectangular cutout in the street façade brings south light into the terrace and living areas beyond, while the adjacent garden is more enclosed, introverted and shaded. The house is strategically designed for passive solar control, employing the screen wall to shade the garden and adjacent bedrooms, and by incorportating a steel brise soleil to cool south facing glazing. Operable skylights allow for the natural ventilation of summer heat, while the low winter sun is brought into the house for passive heating. Other sustainable features include insulated metal panels, a reflective white roof, and instantaneous water heater. 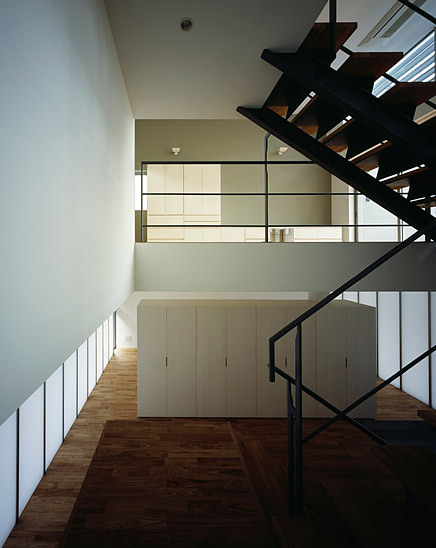 By locating the living areas on the second and third floors at the rear of the site the sectional qualities of the house provide privacy from the street while maintaining southern exposure. By employing a building organization that relies on a densely packed and efficient volume to liberate the remainder of the site, the Y-house creatively responds to the conditions of urban density in order to liberate the pleasures of living. Architects Eric A. Kahn and Russell N. Thomsen founded IDEA Office (formerly COA, 1986-2009) in Los Angeles in 2009. The office works on design at all scales, ranging from graphic design to installations and industrial design, to architecture and urban planning. Our philosophy stems from a belief that design excellence improves the quality of life and reveals an awareness of the world as a contemporary and vital place. IDEA pursues projects as individual works, orchestrating the particular circumstances of each situation as drivers for a unique and compelling design solution. In addition to IDEA, Kahn and Thomsen have recently formed, RO (Research Only), a complementary arm of the office that engages in more speculative, research oriented projects. IDEA’s recent work includes permanent installations in the Walt Disney Concert Hall in downtown Los Angeles for the Los Angeles Philharmonic Orchestra, a new student services building at West Los Angeles College, and an array of private residences in Los Angeles, New York, and Tokyo. Recent solo exhibitions include a site-specific installation, entitled “Stentorian” in the gallery of the Southern California Institute of Architecture (SCI-Arc), and “Powers of Ten” at the 3A Gallery in San Francisco. Clients include the Getty Conservation Institute, the Los Angeles Philharmonic Orchestra, the MAK Center for Art and Architecture (Austria), and the Southern California Institute of Architecture, as well as multiple individuals. The work of IDEA has been published in numerous journals and books around the world, including Praxis, Lotus, Dwell, Metropolis, Dimensions, Progressive Architecture, GA, A+U, Casa Brutus, and Esquire . 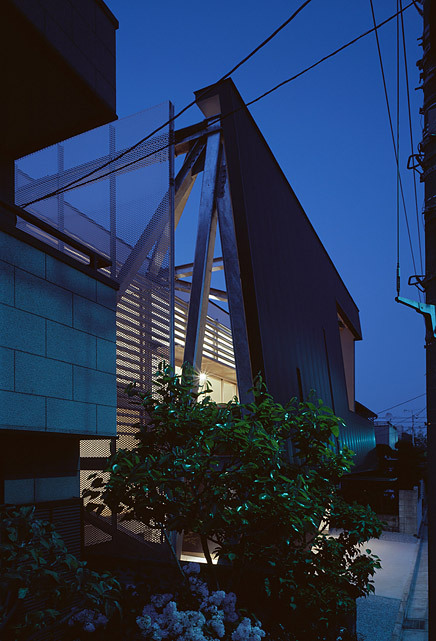 A monograph of their work was published in 1998 as part of the Contemporary World Architects series. IDEA’s work is part of the permanent collection of the San Francisco Museum of Modern Art as well as multiple private collections. 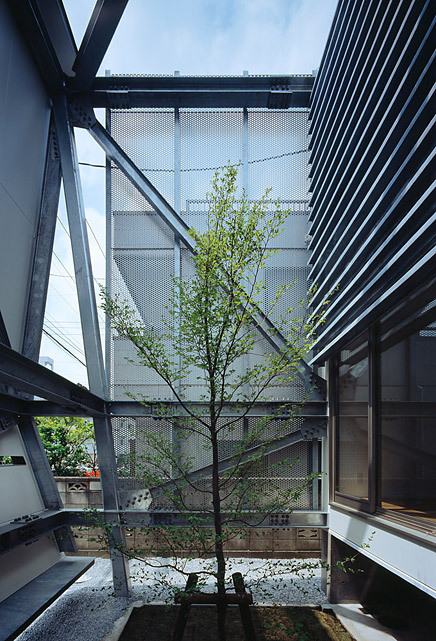 Kahn and Thomsen have received numerous awards for design excellence, including the Young Architects Award and Emerging Voices, both from the Architectural League of New York. Most recently they won an award for the just completed Y House in Tokyo in the “Best of American Architecture” competition, sponsored by Architect Magazine. In addition to the work of the office, the partners are senior design studio faculty members at SCI-Arc, where they have taught graduate and undergraduate design studios since 1990. 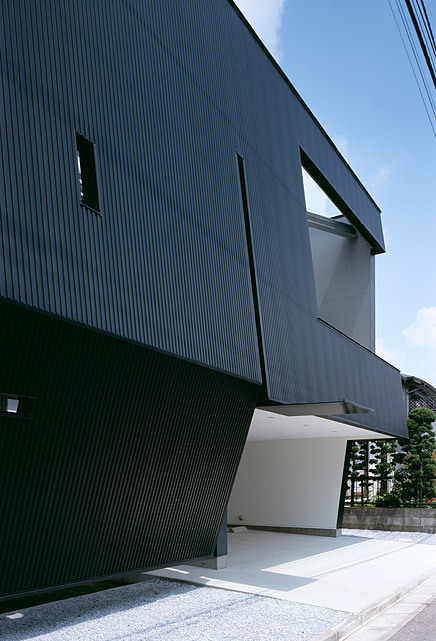 Other teaching positions include the Max Fisher Chair at the University of Michigan, the F. Fay Jones Chair at the University of Arkansas, studios at Kyoto-Seika University, The Royal Danish Academy of Art in Copenhagen, Arizona State University, SCI-Arc at Vico-Morcote CH, and traveling studios in Mexico City and Jerusalem. Beautiful work. Great instructors and wonderful people. Saitama is not Tokyo though. It's a suburban bedroom town north of the city proper. Which makes the rhetoric a little bit hollow to my mind. For Tokyo it is large site with few restrictions. Where does the rhetoric lead when the challenge us real and not just imagined?